Unit Size: 10 mg per vial. GHRP-6 peptide which is structurally very similar to its predecessor, GHRP-2 The main difference is that the GHRP-6 increases appetite in some people. Both peptides can be used together to achieve better synergistic effects. Studies have shown that the highest concentrations of growth hormone in the blood is achieved just combinations of GHRP-6 and GHRP-2. GHRP-6 stimulates the pituitary gland to produce GH. GHRP can be effectively used in the treatment of growth hormone deficiency. GHRP-6 is highly effective in increasing blood levels of the hormone HGH and IGF-1. Info: GHRP-6 (Growth Hormone Releasing Hexapeptide) is a peptide hormone of the Growth Hormone (GH) class. The purpose of GHRP-6 as is with all related peptides is to increase the amount of natural GH production in the body. Increases in GH can be beneficial to anabolism, fat loss, recovery and general well being as well as serve possible anti-aging purposes. Elevated ghrelin is also known to stimulate the appetite. Alternatively, the hormone will promote fat loss and more importantly enhance the rate of recovery. However, while ghrelin has been shown to promote recovery, in cases of GHRP-6 and elevated GH levels it is more likely that the corresponding elevated levels of IGF-1 play a larger role. IGF-1 levels will not spike at the rate comparable to direct Human Growth Hormone (HGH) use as the pulsating effect of GHRP-6 is short-lived. As a results of tests there is no many side-effect with GHRP6 cycles. In higher dosing (600mcg/daily) can be increased concentration of prolactin and cortisol, but much lower then with GHRP2. After injection there is a possibility to feel burning effect at the injection site for 5-10 minutes. 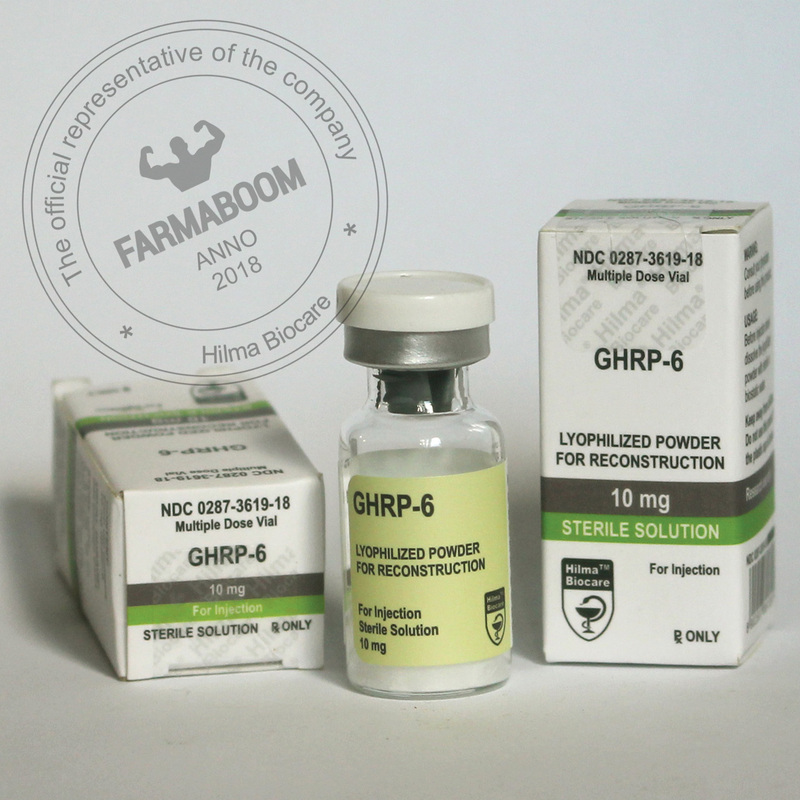 The best choice to combine GHRP6 is CJC1295, but you can also mix it with GHRP-2 and others stimulators of growth hormone like arginine, GABA and glutamine.